In geology, an unconformity is a buried erosion surface, where the bedding layers don’t match. It doesn’t mean a mismatch in attitudes and beliefs, with rebellious behavior like streaking. 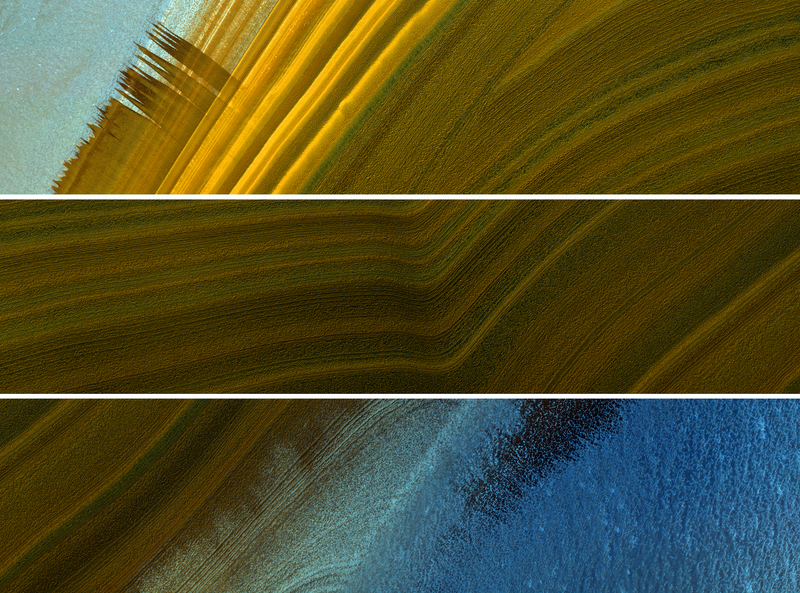 But Mars does have streaking of a different kind, from the wind. 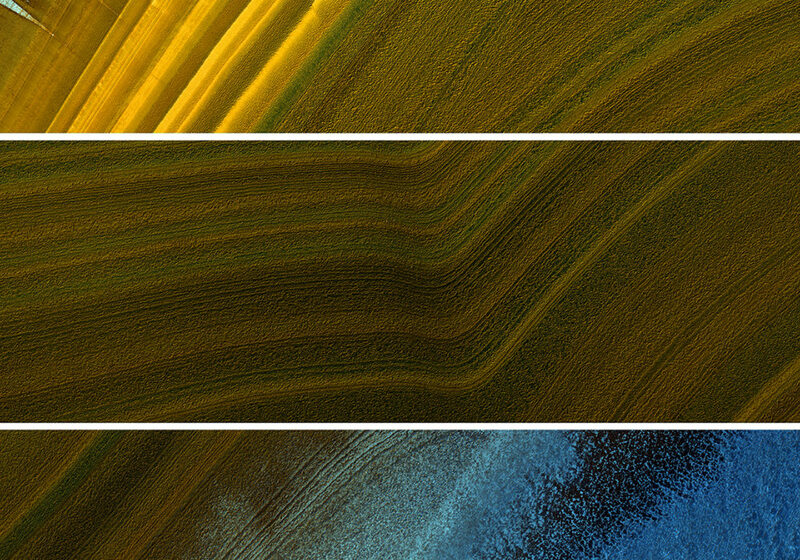 This oblique image of part of the North Polar layered deposits, acquired in the summertime, shows both phenomena in the upper and lower panels, plus a topographic bend in the middle panel . Blue areas in this enhanced color image are covered by frost, whereas the darker colors are from differences in contamination and texture of the icy layers. This is a stereo pair with ESP_018265_2595 .